In a bowl, combine orange juice, garlic, ginger, vinegar, teriyaki and soy sauce and stir until brown sugar is dissolved. Place the salmon fillets in a microwave-safe dish. Put in your RM/240 Microwave, covered, and microwave for 7 minutes. While salmon is baking, transfer remaining sauce to your RT/101 fry pan and bring to a boil then reduce heat to a simmer and cook, stirring occasionally until slightly thickened (3-4 min) then remove from heat. 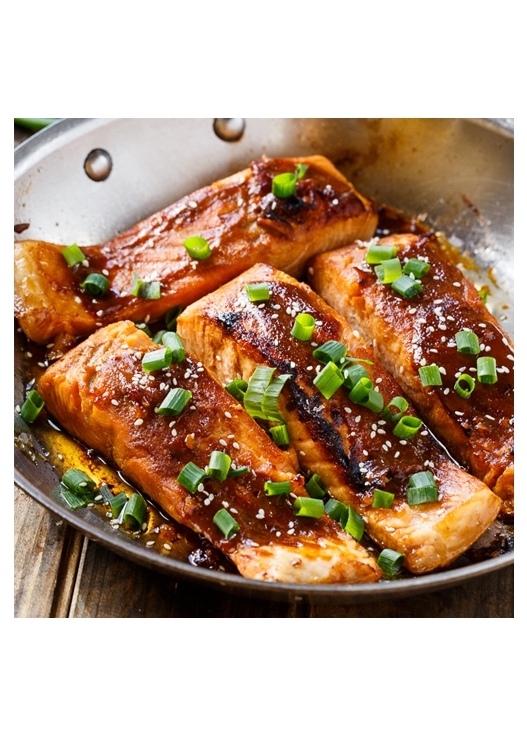 Once salmon is cooked, brush with teriyaki syrup, then sprinkle with chopped green onion as desired.